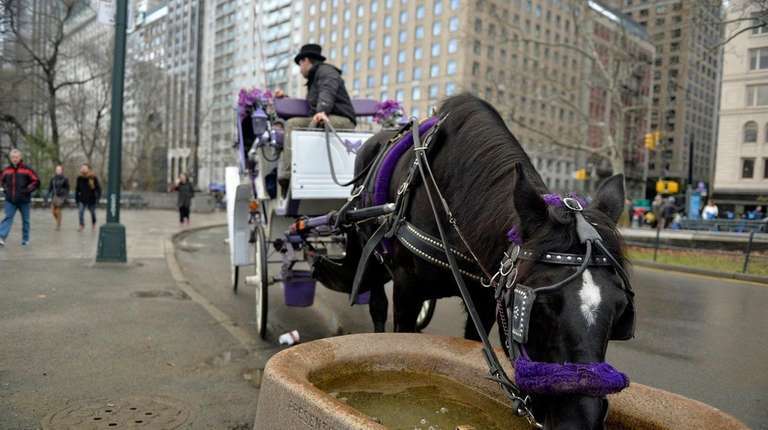 New York City officials announced late Sunday night an agreement that would reduce the number of horse-drawn carriages operating in the city, and limit their use primarily to inside Central Park. A joint statement issued by Mayor Bill de Blasio, City Council Speaker Melissa Mark-Viverito and three Teamsters leaders representing the carriage drivers gave few details of the agreement. The statement was cosigned by George Miranda, president of the Teamsters Joint Council 16; Demos Demopoulos, secretary-treasurer of Teamsters Local 533; and Teamster carriage driver Stephen Malone. A City Council source Sunday night said the agreement would limit the operation of the carriages, with the exception of travel to and from their existing stables, to Central Park starting June 1. The plan also calls for reducing the number of licensed horses from approximately 180 to 110 by Dec. 1. The source said the agreement requires creation of a stable within Central Park with space for 68 carriages and 75 horses by Oct. 1, 2018. 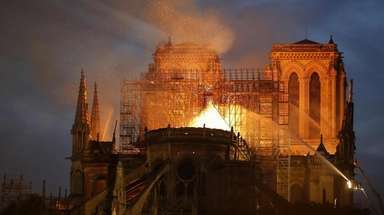 Once the stable is complete, all travel and operations will be in the park, the official said. When the stable opens, the number of licensed horses would drop to 95, with 75 placed in a long term home there. Horses not at work must be on furlough outside the city. The plan also reduces the number of hours per day a carriage may operate to nine beginning Dec. 1. Carriages would also be allowed to charge an extra $5 for trips after 6 p.m. between Nov. 15 and Jan. 5, and on Valentine’s Day and Easter. The agreement calls for banning pedicabs from operating in Central Park south of the 85th Street Transverse starting June 1, and calls for city agencies to meet monthly with industry representatives to discuss economic and safety issues. The City Parks Department and Department of Transportation would consult with carriage industry leaders to designate hack stands in Central Park at visible park entrances by June 1. De Blasio, as a mayoral candidate, pledged to get rid of the city’s horse carriages, saying the horses faced inhumane working conditions. He told supporters in 2013: “I would ban the horse carriages in Central Park within the first week on the job.” But the promise came to haunt De Blasio, at it proved politically difficult to overcome opposition from union leaders, who said the horses are well-treated and banning the service would result in carriage drivers losing their jobs. In 2014 he proposed replacing the carriages with electronic carts, but the plan failed to muster enough support from the city council over concerns about the job losses to the carriages and whether the carts would attract enough tourist dollars.